Several years ago, the Department of Energy (DOE) issued a report on the energy potential of the thousands of non-powered dams in the US. With a significant number of untapped hydropower sources readily available, it makes sense to consider how we can utilize more of this emissions-free resource. 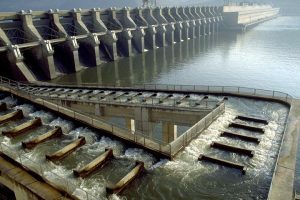 Many companies have attempted to shepard one of the more than 80,000 non-powered dams through the hydropower licensing process at the Federal Energy Regulatory Commission (FERC) only to find that unanticipated obstacles can arise like the requirement for fish passage. Often, FERC imposes a condition on the issuance of a hydropower license that requires the licensee to construct a fish ladder or similar system which can add millions to the project’s bottom line. And failure to comply with FERC’s condition for a fish ladder can have serious consequences like revocation of a license to operate as a hydropower generator. As times change however, innovators develop creative solutions to address otherwise onerous federal licensing requirements. Since there are new technologies available that serve as an alternative to fish ladders, it would seem natural for project developers to consider implementing these mechanisms if they can reduce a project’s costs and satisfy FERC’s licensing requirements. In fact, licensed dams currently generating electricity could create 5-10% more production by using an alternative to a fish ladder because new technology would allow a greater volume of water to ultimately flow through the turbines. And if one were to view the approximately 2500 existing power-producing dams as primary source of energy for the country, it becomes hard to ignore a method that could allow generators to squeeze out an additional 5-10% more electricity production. As with many industries however, the pace of government in acknowledging improved practices lags behind new technology and we are missing out on both clean energy and environmental benefits. While the DOE seems progressive in seeking unique ways to add clean power to the grid, various other federal regulatory agencies, each of which have their own mission, must all be similarly progressive in embracing and supporting innovation. 1) Is hydropower electricity from non-powered dams a significant, untapped source of clean energy? 2) Since technology is available to address FERC’s fish passage requirements, are there ways to expedite the approvals from other agencies so that FERC can issue more licenses to add power to non-powered dams? 3) How can the private sector help government regulators understand the benefits of new innovation and technology in the energy industry? This is an area that I have worked on extensively with a small group of senior power engineers and many of the sources from existing non-powered dams even if provided with a spillway or sluice to a power generator would only have a benefit of being a peaking unit as the water needed to run such a generator is generally not available for anything more than a 10 to 15% of a yearly duration. While such dams have massive resources many if not most are uneconomic to be altered because of the short duration of power availability. While there are some locations that do have the yearly water flow to provide such power they are generally smaller locations where the generation capacity will again be difficult to make profitable. In the U.S., Europe, China many of the locations for large dams have already been used to supply base load and peaking energy. Efficiencies of these systems are being upgraded as we speak and improvements in capacity due to better and more efficient generators, and turbines. The number of locations is far more limited than the questions posed suggest. I would suggest that we are not looking in the right spots for hydro power and and not asking the right questions. While there have been attempts to produce base load hydro power thru run-of-river solutions those have generally met with failure due to debris damage, siltation, or not being able to be cost effective in generating power. I am aware of new technologies that could turn open run-of-river systems in the right locations with the right volume and speed into signifiant power generators in places not considered suitable at the present time. Being able to look at the problems and failures of others has been a blessing for we have found it is possible to design around them and provide a totally safe environment for aquatic life of all stripe. The economics of these systems would be like that of a low head dam with power generation in the 5 to 25MW per installation depending upon river flow and current speed. But this is not the only rivers we can look at and certainly not the largest. The largest river we can access in one that we can look at and not see. It is called the Gulf Stream. The water flow there is greater than all the other rivers in the Northern Hemisphere combined. It is not faced with problems of drought and is base load. That is the critical thing about hydro power. If you can make a base load hydro power system you have the ability to be the low cost provider especially if you have no need to make a dam. The problems that occur with the Supply Demand Curve will still effect such systems but with the advantage of having no fuel cost instead of reducing production an alternative demand can cover the difference between demand and supply. I would suggest a utility grade generation of hydrogen be used or batteries but I suspect that Hydrogen will be the most cost effective. That kind of system would tend to limit the need of batteries and demand control, both of which are complex, expensive and cost prohibitive. We are in a race for both efficiency and in preserving the environment. The winner will control the manufacturing world in many ways as well as having a technology to sell world wide. Right now the average power generation system has between a 40 to 45% capacity of utilization of all their power plants, (base load and peaking plants) all due to the physical and economics of the supply demand curve. A base load renewable in combination with a variable load that is capable of generating a profit would be capable of much higher capacities of utilization and a far more efficient use of capital than any existing system I am aware of.